Head teachers in England are being urged to ban packed lunches to increase the take-up of school dinners and promote healthy eating. A government-commissioned school food review by two founders of the Leon restaurant chain says take-up is low at 43% despite huge quality improvements. Packed lunches are nearly always less nutritious than a cooked meal, say the authors of the School Food Plan. Revised food-based standards are to be tested and introduced from 2014. These are likely to replace the extremely stringent guidelines which control the regularity with which food groups and processed items are offered. The report describes the process by which they are applied as a “finnicky” one and claims staff need to use a computer programme to implement them. The new standards will be applied them to maintained schools and all new academies and free schools, the Department for Education said. Head teachers are also being urged to lower the price of lunches to boost take-up. This might include providing subsidised meals for reception classes in primary schools and Year 7 classes in secondary schools, the report says. And there are calls for free meals to be extended to all primary schools, starting in the most deprived areas of England. The government says it will investigate the case for extending free school meals entitlement. 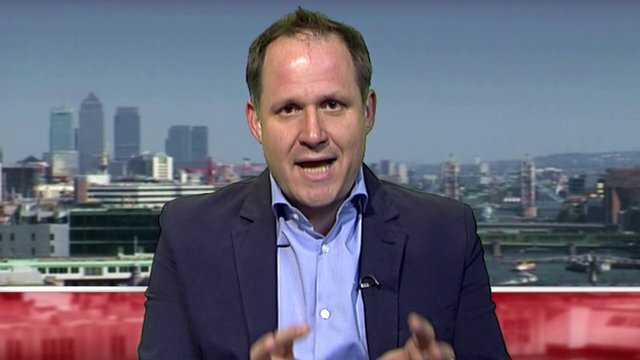 The Department for Education ordered thereview by restaurateurs Henry Dimbleby and John Vincent into the state of school meals in 2012 following strong criticism from TV chef Jamie Oliver, who earlier led a successful campaign to ban junk and processed food from school canteens. This resulted in tight nutritional guidelines and healthy eating policies in many schools for those bringing packed lunches. But in 2011 he claimed that standards were being eroded because academies and free schools were exempt from national nutritional guidelines. Mr Dimbleby told BBC Radio 4’s Today programme that school food had improved since the “dark days of the turkey twizzler,” but that the proportion of children eating school meals was not high enough. He stressed that more than half of children brought packed lunches into schools but that around two-thirds contained crisps or confectionery. “The best schools, the schools with good food, find ways of making packed lunches the least exciting option,” he added. If packed lunches were banned, schools would be able to provide better meals at a cheaper price, and this would help boost children’s performance, he argued. Packed lunches are understood to be banned in just a very small number of schools, but the DfE insists it is possible and that many schools do not realise that. The review suggests that items such as sugary drinks, crisps and confectionery be forbidden from lunch boxes. In reality many schools already have healthy packed lunch policies banning such items. General secretary of the National Association of Head Teachers Russell Hobby said he felt it probably was not feasible for schools to ban packed lunches. He thought it was right, instead, to focus on making school meals more attractive in terms of cost and access as well as nutritional content, taste and presentation. Labour said exempting academies had allowed junk food to “creep back” into schools and it urged the government to enforce food standards across the board. Shadow children’s minister Sharon Hodgson said when the country was in the middle of a childhood obesity crisis, it was important that schools were doing their part to improve diets. But she accused David Cameron and Michael Gove of deliberately undermining that progress by exempting academies and free schools from Labour’s rules. Other recommendations include: After-school cooking lessons for parents and children, more schools to have stay-on-site rules for break and lunch time, and for teachers to be encouraged to sit in the dining hall with children. And there is to be a £16m cash injection to boost the take-up of meals. The report comes as the obesity rate among children at the end of primary school has risen to almost one in five. 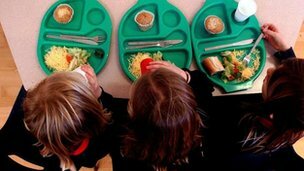 Matthew Reed, chief executive of the Children’s Society, said all children in poverty should receive a free school meal and urged the government to use its planned consultation on the future of free school meals to make sure no child in poverty misses out. Linda Cregan, head of the Children’s Food Trust, said: “The pledge of funding to give thousands of schools practical help with increasing take up is very welcome, as is investment to create new breakfast clubs in places where children are in greatest need.